LEGAL FAULT: What is a determining factor in figuring out who is at fault in a San Diego California auto, motorcycle or truck accident? 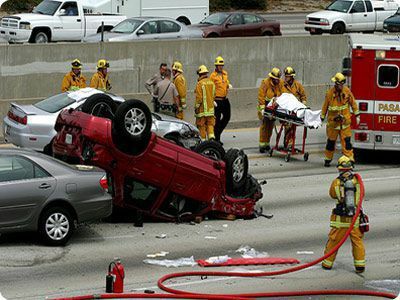 The key to figuring out who is at fault in a California traffic accident is a matter of deciding who was careless (also known as negligence). For California vehicle accidents, there is a set of official written rules telling people how they are supposed to drive and providing guidelines by which liability may be measured. Thus, these rules of the road are the California traffic laws everyone must learn these rules to pass the California driver's license test. The California traffic laws apply not only to automobiles but also to motorcycles, trucks, bicycles, and pedestrians. (3) the driver's conduct caused actual injury or damage to someone.